The Toronto Fashion Incubator (TFI) is an innovative and highly respected non-profit organization dedicated to supporting and nurturing small business entrepreneurs. TFI plays an essential role in the growth and promotion of the Canadian fashion community by helping creative entrepreneurs to develop the business and professional skills they need to thrive and survive. So how can the TFI help you and your emerging business? We start by providing a nurturing environment where creative entrepreneurs can learn about marketing, sales, business planning, exporting and cashflow through strategic programs, private consultations with experienced mentors and educational seminars. We also offer shared work space, in-house design studios, exclusive promotional and sales opportunities, valuable sales and marketing resources and leads, and volunteer/ internship programs. Because we recognize the different needs you'll have at different stages in your fashion business or career, we offer two ways of becoming a TFI member: Outreach and Resident." Be sure to take full advantage of the TFI: Resource Page, especially if you're located in Canada. "Drapers is your key to the UK fashion business. Every week Drapers features the finest news, trends, catwalks, top fashion jobs, exclusive sales data and insightful viewpoints. Drapers finds out what’s going on in the business and how it affects yours with the finest collection of news, views and interviews, as well as eight special trend forecasting editions. " Over 10,000 exhibitions and 24, 000 trade show dates are listed. A weekly e-mail newsletter will keep you up-to-date on tradeshows, exhibition organizers & news. 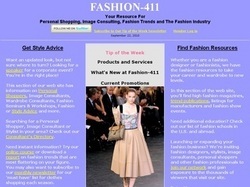 "FashionCapital aims to provide a one-stop online support resource for all areas of the Clothing and Fashion industry. Established in 2001 FashionCapital has a wealth of expertise to provide all users a unique insight into the fashion industry. A dedicated team of experts are here to support you and your business at every stage of its development. FashionCapital combined with Fashion Enter in September 2006 to ensure a full offer of complete business support is now available. Fashion Enter has a network of boutiques, the fashion event Profile, an agency Representing, PR Dispensary Service and allows members to have on going mentoring and business advice sessions. The amalgamation of the two businesses has provided one of the most powerful forces in fashion today." Fashionlines.com burst onto the Internet fashion scene in the summer of 1999 as the first purely editorial fashion e-magazine. We bring fresh and innovative reporting from the front rows of the New York and international runways, with commentary by experienced writers based in New York, Paris, Sao Paulo and California-- an original and non-biased slant to the fast-paced world of style, beauty and fashion. We feature original layouts from couture greats such as Yves Saint Laurent, Christian Lacroix, Dior, Gucci, Armani, Vivienne Westwood, Ralph Lauren, and many many more. We bring our readers to the great jewelers of the Place Vendome, Asia and the United States, as well as the smaller ateliers of the rising stars. Our makeup artists tell us what the best beauty products are, and how to wear them. Interior decorating and gardening trends are reported by our savvy and knowledgeable staff, who look for and find the most beautiful looks of today. Your guide to all things chic. Runway collections and fashion news. Fashion trends in Eurpoe, Americas and Asia. "We Sell Runway Fashion Photos to the Press & Content Providers Worldwide"
View runway photos from international apparel, jewellery, bridal and swimwear collections including Anna Sui, BCBG, Donna Karan, M Siamo, Vera Wang, Zac Posen and many others. All fashion designers should use Fashion Templates to achieve a professional finished product. Come see for yourself how pro your work could look! Purchase amazing images containing full-colour fashion illustrations, drawings and storyboard images. "Fashion Trendsetter is an online fashion and color forecasting, trend reporting and news e-zine which serves up-to-date fashion information from the major trade fairs, trend reports and fashion forecasts. Since November 18, 2004; dedicated to be the number one resource for the “Fashion and Color Trends” topics, Fashion Trendsetter has a competitive advantage with its free of charge services among other trend offices. Focused on publishing the best color and fashion trend sources on the internet, our aim is to inspire our readers with our color and trend directions exclusively prepared for each season. Fashion Trendsetter is also a fascinating arena for new designers to showcase their creative designs of contemporary fashion and jewelries. 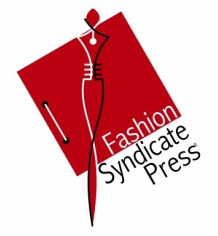 Each month over 500,000 people read Fashion Trendsetter website and our newsletters. " "Your very own fashion expert with all the dish and expert advice. The daily diary details New York Fashion Week. Up-to-the-minute advice on the latest in fashion, beauty, lifestyle and pop culture." "Mass production of apparel in Canada began in the mid-19th century in urban centers, which supplied needed semi-skilled labour, and, at the same time, were the major consumer markets. Today, the Canadian apparel industry produces women's, men's and children's wear, furs, foundation garments and a wide range of knitted apparel such as t-shirts, underwear, gloves, sweaters and hosiery. Historically, the apparel industry has been highly dependent on women (as high as 94 percent in some apparel sectors) and immigrants (approximately 50 percent of the total workforce). Regionally, Québec accounts for 55 percent of the value of Canada’s apparel production. Ontario, Manitoba and British Columbia are also significant contributors to apparel manufacturing. "As one of Canada's largest manufacturing sectors, the Canadian apparel industry has grown from rather modest beginnings to a reliable supplier of a wide range of consumer, industrial and institutional apparel to meet the needs of both domestic and foreign markets. To remain competitive within the world's increasingly liberalized trading environment, the industry is aggressively innovating to higher value-added products, the latest technologies, and more efficient, flexible and lower-cost manufacturing processes." — Eileen Melnick McCarthy, Director — Communications, Canadian Apparel Federation. New to exporting? Start here to develop your export marketing plan. "We’re the undisputed leader in talent recruitment for all areas of fashion, design to production including: accessories and apparel design, action sports, home furnishings, corporate retail and beauty. Additionally, we provide top tier advertising, marketing and creative talent for some of the world’s best known lifestyle brands." Founded in 2007 by Imran Amed, a fashion business advisor, writer and entrepreneur, The Business of Fashion began as a project of passion, aiming to fill the void for an informed, analytical and opinionated point of view on the fashion business. Today, the website has grown to leverage a network of savvy writers and fashion insiders in style capitals around the world, delivering fashion business intelligence on emerging designers, disruptive technologies and global brands that are making their mark on the industry at a time of unprecedented change." Resources on how to start your business, sales & marketing tips, how to grow your business & more. Want to start a fashion business? Read this free e-guide that covers the key steps from product development to selling your line. "I run a marketing firm that helps companies bridge the gap between providing a product/service and making a sale. Marketing Resources & Results was founded in 1998." "Sheppard Mullin’s Fashion and Apparel team has firsthand experience working with companies that produce everything from hi-tech synthetic yarns to high fashion, fabrics to footwear, and bricks to clicks. 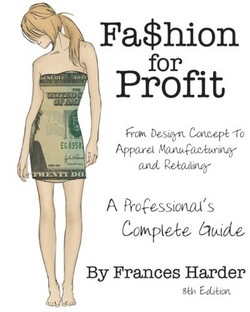 Fashion is a nearly $500 billion retail industry. It comprises a wide variety of skills and industry sectors, from fashion designers to contract manufacturers, from textile manufacturing to distributors, from financiers to factors. In addition, the major retail chains have a serious influence on the apparel and fashion business. Technology and global markets have rapidly changed how and where apparel is manufactured. Although the vast majority of clothing is sold in the most affluent nations, such as the United States and the United Kingdom, it is generally manufactured in foreign lands—China in particular. Contract manufacturing and outsourcing is booming and import/export trade issues continue to lead to heated debate." 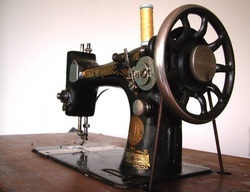 "Little problems with the sewing machine can be very irritating and time consuming. They can happen to even the most experienced seamstress. The next time you have machine troubles, check this list to see if you can determined the cause of the difficulty and correct it. It may save you a service call and save you time as well. If you can't correct the trouble, it is wise to seek professional help." A revised Canadian General Standards Board (CGSB) standard providing new and improved industry symbols to help consumers clean and launder clothing safely was hot off the press in December 2003. The new standard (CAN/CGSB-86.1-2003) reflects the labelling practices being discussed by the North American Free Trade Agreement (NAFTA) and is also harmonized with the American and international standard on care labelling. "THE COTTONWORKS® Global Fabric Library Directory is a searchable online directory that is very easy to use. This directory will help you source cotton in wovens, knits, home furnishing, lace/trim constructions that contain 100% cotton or are cotton-rich (which are fabrics containing 60% cotton or more). 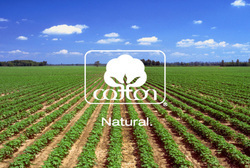 Cotton Incorporated maintains THE COTTONWORKS Fabric Library and Offices around the world in New York, Osaka, Mexico City, Hong Kong and Shanghai. The fabric library produces the directory and houses samples from mills, knitters and converters. " "Fabric.com is the place to go if you sew. We are the world's leading online fabric store. Originally, Phoenix Textiles Group, Inc. was founded in 1993 by Stephen Friedman, as a wholesale distributor of apparel fabrics. In 1999 Phoenix Textiles went online to test the concept of selling cut-yardage fabrics directly to consumers. Today, that company is known as Fabric.com. " Fabric Connect presents the most efficient way of fabric searching. Choose your search criteria (fabric type, colour, location etc. ), click Search and let our database do all the work for you. Within seconds you will see your search results and will be able to preview fabric pictures and details including supplier information. There are currently about 6,000 fabrics from Canadian and US suppliers in our database. Let us help you find the right fabrics and locate suppliers within your mouse click.